Yesterday, I was outside trimming the dead branches off my Pride of Barbados shrubs, bushes….whatever they are. They are supposed to grow to six feet, and mine are ten feet tall. Yes, I need a stepstool. Anyway, I was off in my little world of garden beautification when I hear kids walking into the cul-de-sac. Normally this is fine, but I know the kids around here are all gone for vacation somewhere. So I turn to look and see that they are walking up the sidewalk, tossing a football back and forth. “How cool,” I think to myself. I like to see kids being active. And then the coolness factor stopped when they got on my crappy lawn to throw the football on a long pass!!! Me: Excuse me, but you are on the lawn. Kid #1: We are throwing a football. Me: I see that, but you need to respect people’s property. Kid #2: It’s just a football, man. Me: That’s “Lady”, and GET OFF MY LAWN!! The only thing missing was my shotgun. The machete may have intimidated them, though. 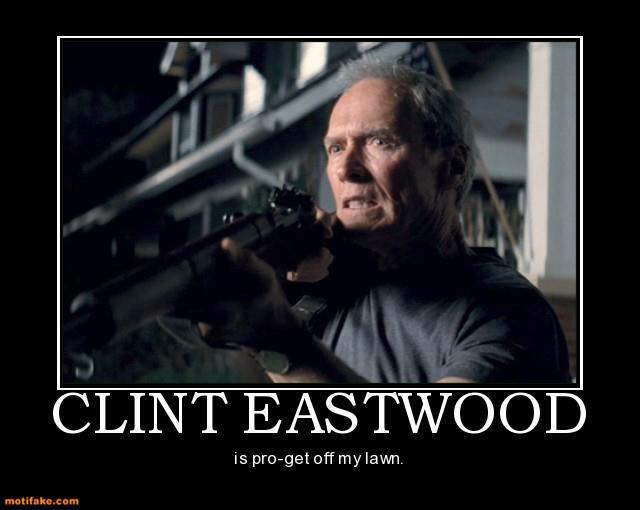 Now, I am not one to freak out if someone is on my crappy lawn, ok? The kids around the cul-de-sac have come and gone with their skateboards, bikes, rollerblades, whatever. But they had asked if it was ok. These kids took it for granted that the whole place was their playing field, and that is just wrong. Respect for other people’s property is something we were taught as kids. I get the vibe some of us are slacking off in teaching that lesson.